Connect up the Parallel Port on your MotherBoard to your outside the Case. 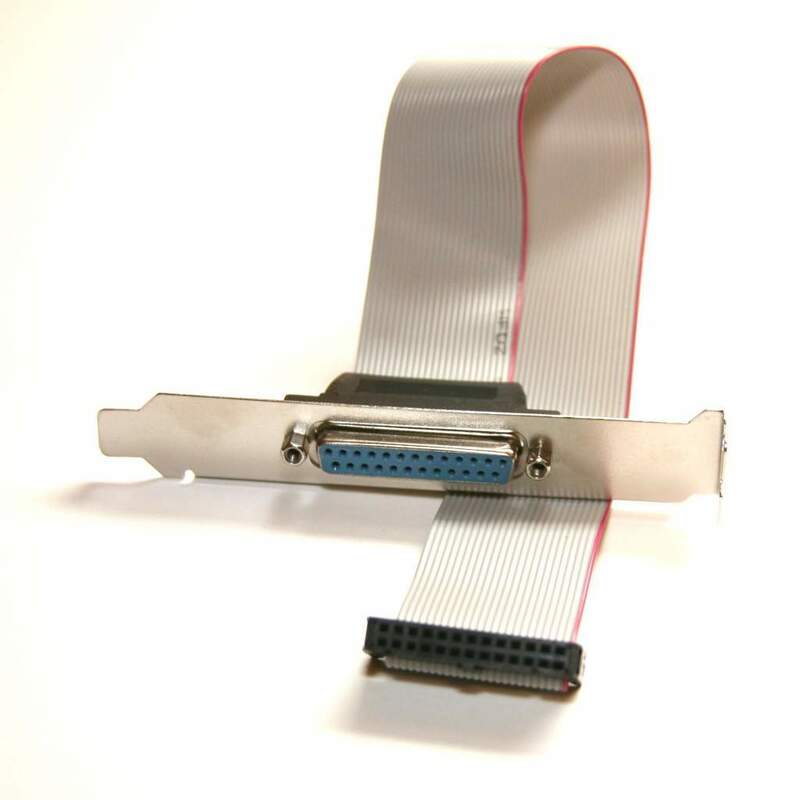 With this Parallel Port Cable. Used on almost every main board manufactures system including Asus, HP, IBM, Dell. Has Backplate and 12 Inch Leader Ribbon Cable.